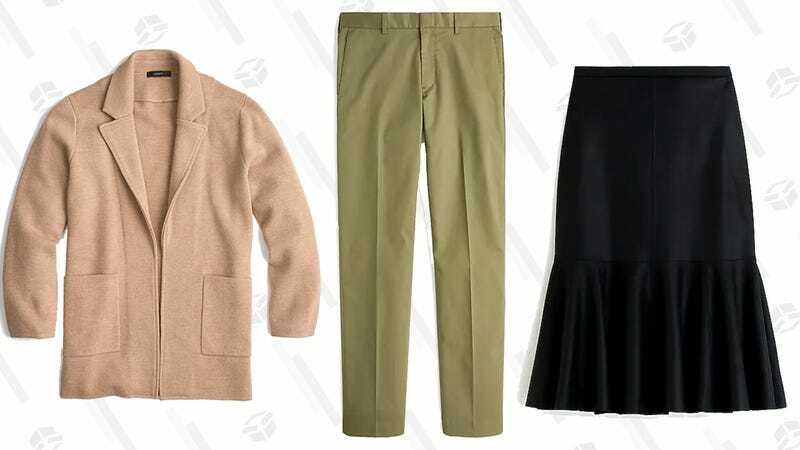 J.Crew is no stranger to extra discounts for on-sale stuff, but for today only, they’re marking down a whole lot of full-priced styles, too. All shoppers get 50% off sale items for men, women, and kids, and for everything else not in the clearance section, enjoy 40% off. Just use promo code 23HOURS, and stock up on classic sweaters, coats, button-downs, accessories, and more.